Many listing agreements and purchase contracts stipulate that the seller must pay any past due utility bills on the property for sale even if they no longer live in it. There are some very good reasons for this. First of all, there are many communities in which the various utility companies will not turn service back on if there is an overdue balance from the past at that address. This may apply even though the new application for service is in a different person’s name. You can imagine how much of a headache this situation can be for the new owner and they may not have any choice but to pay the delinquent amount even though it belongs to the previous property owner. Secondly, it is possible for unpaid utility bills to actually interfere with the sale of a home. If the utility company has filed a lien against the property for non-payment this lien must be paid at the closing table. What happens if the seller simply refuses to pay or is unable to? It’s possible that the buyer will refuse to close in this scenario and the entire deal could fall through. The title company may not even be willing to issue title insurance coverage in this type of situation until the delinquent amount has been paid. Sellers involved in a short sale can face huge problems as well. Although federal guidelines do allow payment of a utility bill from the seller’s relocation incentive this does not include an actual lien on the property. 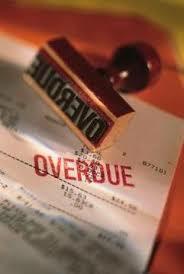 In this event the seller would be obligated to pay the debt before the short sale could proceed to closing. If they don’t have the money, they will not be able to sell the home. As you can see, unpaid utility bills can be a definite deal breaker and this is the reason why this situation must be addressed in the appropriate paperwork. It’s a shame to see a home sale fail over a situation that is easily avoidable and usually doesn’t involve a large amount of money. As a buyer, be sure to confirm with your agent that this stipulation is covered in the various required documents so that you can avoid losing the home of your dreams or possibly paying a debt that was never your own.